Hello everyone! First, let me start off by saying a BIG thank you to Katrina for letting me have some fun on her blog today. It is such an honor to be here and to have a chance to share a fun cookie recipe I hope y’all will really enjoy. Katrina is such a sweet and fun gal and I am so grateful to her for this opportunity to chat with some of her friends. My name is Brandie, the cook over at The Country Cook. I live in beautiful Southwest Virginia near the Appalachian mountains. I’m a jack-of-all-trades, like most women. I’m a momma and a wife. I also have a job outside the home. I love to make comfort food and I like to eat it (who doesn’t?). My food may not be considered gourmet or fancy but it feeds my family and it gathers us around the table each day. I cook a lot of the same foods my own Momma made for me as a child. Now onto this cookie recipe! I hope y’all will really love this one. It is such a fun and different cookie, yet easier to make than you might think. And it really is a stand out on the holiday sweet table! I am using a bagged cookie mix as the base for this recipe but you could certainly use your favorite sugar cookie recipe as the base. My way of thinking is, if it tastes great and makes it easier, then why not? Why make more work and dishes for yourself? There are so many good flavors going on here that no one will even notice you started with a cookie mix. It’ll be our little secret. ½ cup butter or margarine, softened to room temp. In medium bowl, stir cookie mix, softened butter, flour, and egg until dough forms. On a floured surface, roll dough to about ¼-inch thickness. Sprinkle this mixture evenly over dough. Begin to roll up dough, starting at the long side. If the dough tears at all, do not worry. This dough is very forgiving. Just pinch it back together, it will still bake up nicely. Wrap in plastic wrap and pop dough in the freezer for about 20-30 minutes (until firm – not hard). Heat oven to 375F degrees. Cover your baking sheet with parchment paper. Take dough out of freezer and begin cutting into ¾-inch slices. If dough tears a little as you cut it, just pinch it together a little with your fingers. Place slices about 2 inches apart on cookie sheet. 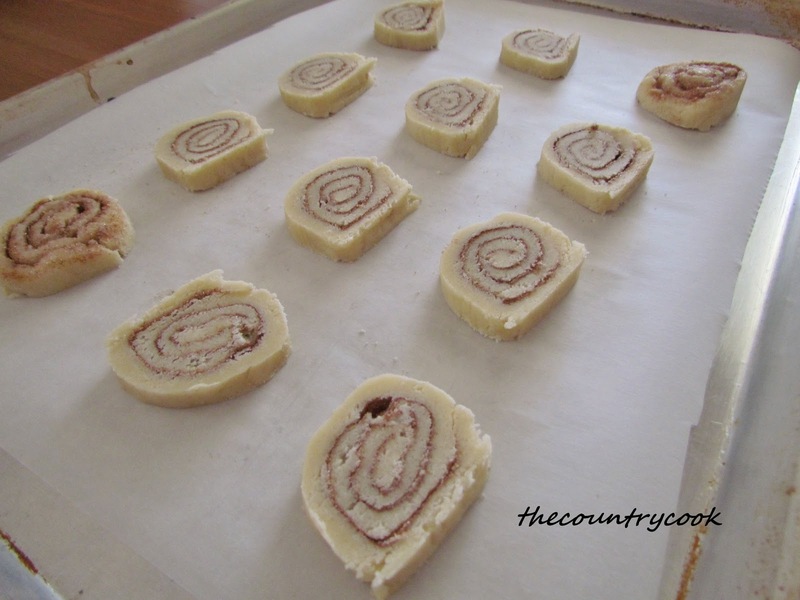 Bake 10-12 minutes or until edges are lightly golden brown. Cool for about 2 minutes, remove from cookie sheet to cooling rack. Cool completely. In a small bowl, mix powdered sugar and milk until smooth (adding a tad more milk if necessary). Drizzle over cooled cookies (making sure you have aluminum foil or waxed paper underneath cooling racks to catch excess icing). Cook’s Notes: We prefer a little bit more icing on ours so I actually made up a second batch of icing. You want the icing to stay fairly thick but thin enough so you can still drizzle it easily. In a small bowl, mix together sugar and cinnamon. Sprinkle this mixture evenly over dough. Cut dough log in half. Wrap in plastic wrap and pop dough in the freezer for about 20-30 minutes (until firm – not hard). Heat oven to 375F degrees. Cover your baking sheet with parchment paper. Take dough out of freezer and begin cutting into ¾-inch slices. If dough tears a little as you cut it, just pinch it together a little with your fingers. Place slices about 2 inches apart on cookie sheet. Bake 10-12 minutes or until edges are lightly golden brown. Cool for about 2 minutes, remove from cookie sheet to cooling rack. Cool completely. 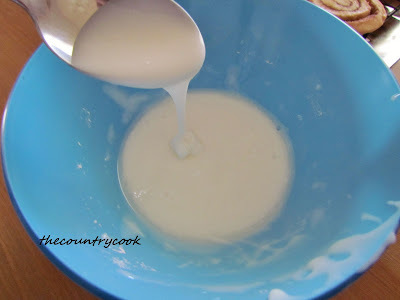 In a small bowl, mix powdered sugar and milk until smooth (adding a tad more milk if necessary). Drizzle over cooled cookies (making sure you have aluminum foil or waxed paper underneath cooling racks to catch excess icing). We prefer a little bit more icing on ours so I actually made up a second batch of icing. You want the icing to stay fairly thick but thin enough so you can still drizzle it easily. She makes a double batch of icing…did you catch that part? *That* is why Brandie and I get along so well. Thank you to Brandie for bringing the cookies today! Be sure to check out her delicious blog. I know you will find something that you will want to make this week. I have made her Ham and Cheese Party Rolls and everybody asked for the recipe. And my life won’t be complete until I make her White Chocolate Blondies with Maple Butter Sauce. Yum these look delish! Love the time saver of the pouch/mix and I adore anything! cinn roll related. Perfect! These sound amazing. Cinnamon rolls are some of my favorite things. These look so incredible! Breakfast cookies! I'm so all over this! Oh yes please!!! I can't wait to make these! Thanks! Wow these look amazing and so easy to make. Oh I definitely wish I was eating these for breakfast. Katrina, I really am so honored that you asked me to do this. It was so much fun for me and I really hope everyone loves this one if they give it a whirl. Thank you to everyone who has commented so far – y'all are so sweet!!! Those look AMAZING! I love that they look like they took all day but are simplified with the mix. I did catch the bit about the second batch of icing and I'm all over that one! Brandie is awesome and always has recipes that anyone can make. Thanks for hosting her on your site Katrina. This is an excellent recipe! Oh, yeah…double icing is always better! 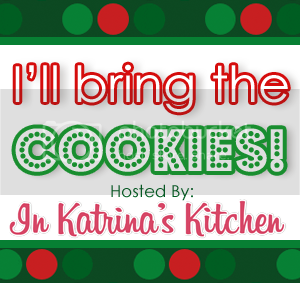 Great cookies, Brandie…and fabulous guest post today, Katrina! Ahh what a great idea! 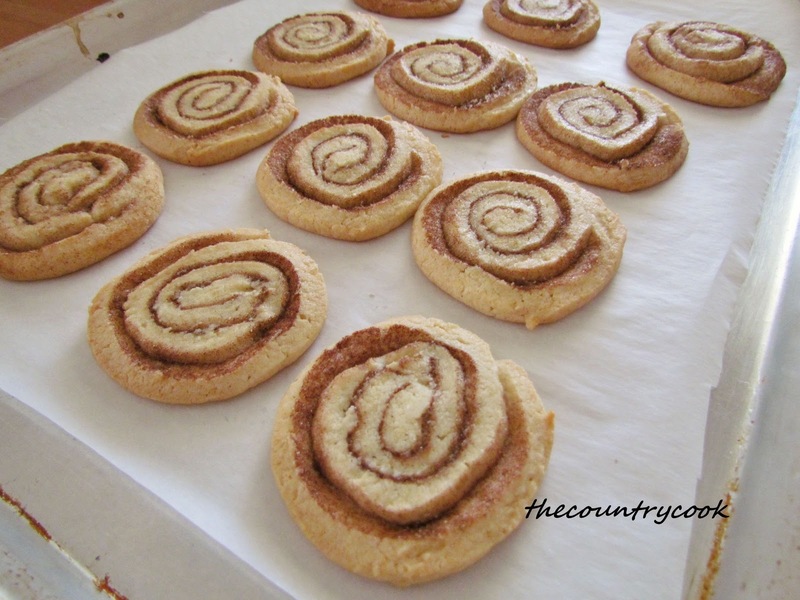 I love cinnamon rolls…in any form. And I am ALL about the cookies for breakfast. And let's be real–sometimes doctoring up a mix is easy, yummy, and all-around the best choice! There's no shame in that!! I have to confess, I eat cookies for breakfast way more than I care to publicly admit! What a great choice! Thanks again for the super sweet comments everyone!! I appreciate ya taking the time to leave one. So happy y'all are liking this recipe! 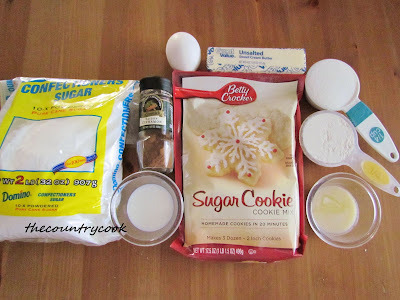 OK, I had to come here from Brandie's blog and say… Wow, those cookies look fantabulous and I will try them. Now I'm off to check out Katrina's Kitchen. Have a great day! Mmm yes… cookies for breakfast, lunch and dinner. I wouldn't want to share these. Oh man these look so good! I'm behind on my holiday baking, need to kick it up a step! 🙂 Honestly, anyting with cinnamon roll in the title must be amazing. Yum!! Yep, definitely my crowd of people right here. Hee Hee! Such great comments. Thank you again everyone! Let's see, I love cookies and I love cinnamon rolls! Sounds like the perfect cookie to me! OMG this looks SUPER easy and AMAZINGLY delicious! 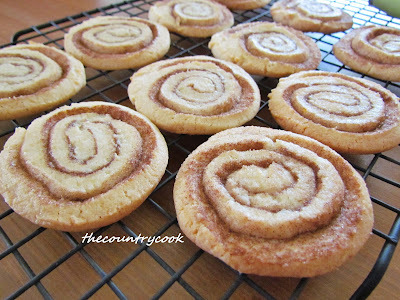 I am getting a vision… tomorrow after work, there are going to be cinnamon cookies in my future! Yes please!!! I love how easy these are!! Another great guest post! These cookies look like pure heaven! 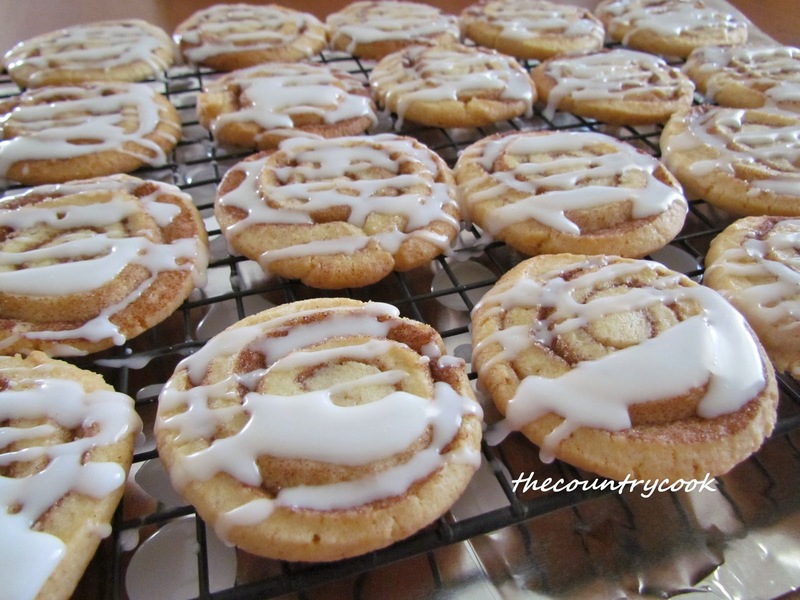 Cookies for breakfast with double icing, what could be better? Great guest post, Brandie! Katrina, Thanks for having Brandie as a guest blogger. YUM! YUM! and again I say YUM! These are such a cool lookin' cookie – and I love using pkg. cookie mixes. Thanks to both of you for sharing! Love the step by step photos too. Y'all are the bestest most supportive group of folks in the world/ Does my heart good to see so many lovely comments. Thank you! I am just tickled pink that y'all like the sound of this recipe. I truly hope you love it if you make it!! These turned out AWESOME! Thanks for sharing… way too much fun in the kitchen tonight! My recent post Russian themed Dinner! Oh my god, I am so in love with these!! 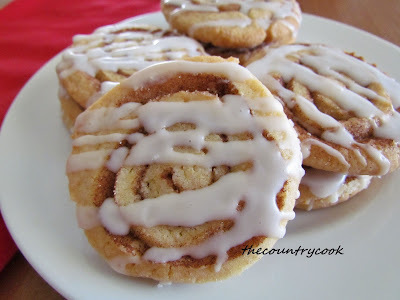 I never eat actual cinnamon rolls but I would eat a whole dozen of these! Thank you, Brandie, for this recipe, LOVE! Thank you again to everyone for your super sweet comments. If I could, I would have shared a cookie with all of y'all! Hope everyone has a beautiful holiday and I hope you'll come visit me sometime over at my blog. Thanks again to Katrina!